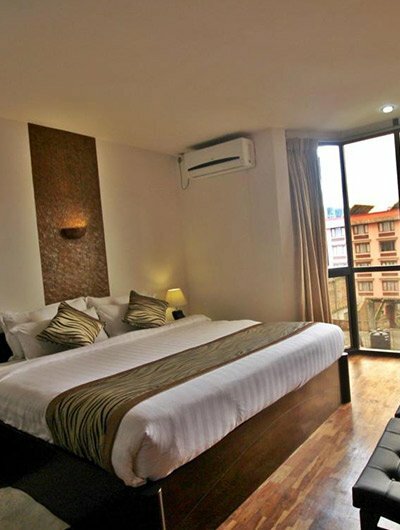 Hotel Shambala is a tibetan-themed boutique hotel in Kathmandu offering the best in modern amenities with traditional Nepalese hospitality. located along the prestigious “embassy road”, the hotel is just 10 minutes drive from the city center, in close proximity to major embassies and businesses, and within easy access to major tourist attractions. With world-class facilities, including a gorgeous roof-top swimming pool and poolside cafe, a multi cuisine restaurant, a wellness spa, and a business center, guests can relax knowing they have the best facilities available under one roof.